Hankook is presenting its prospering commercial vehicles segment at this year's IAA for Commercial Vehicles in Hanover, Germany, being in overall already for the fifth time at the largest and most famous truck exhibition worldwide. As a global top-tier truck tyre maker with international Original Equipment partnerships with MAN, Mercedes-Benz Trucks, Scania and Schmitz-Cargobull, Hankook will be showcasing a new tyre line-up for mild on- and off-road use as a world premiere. Having likewise become a player in the bus segment as well, Hankook is also presenting a future oriented extension of its bus portfolio. 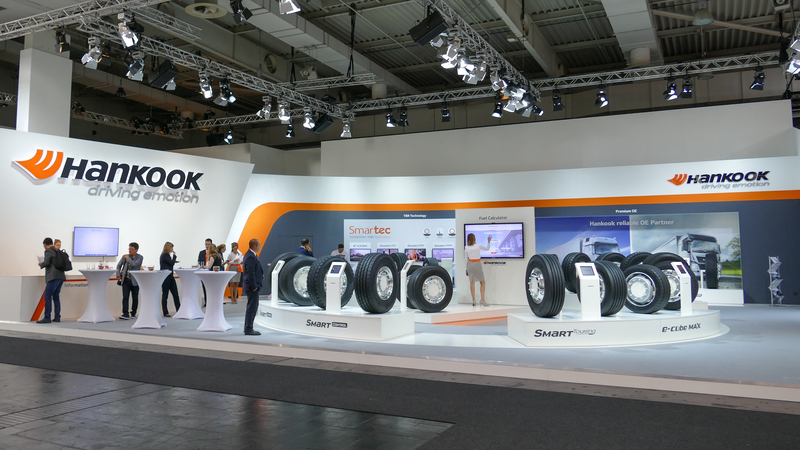 Neu-Isenburg/Germany, 24th May 2018 – After showing strong presence at Commercial Vehicles Show in Birmingham, and having great expectations for the coming Tire Cologne in the truck and bus field, premium tyre maker Hankook has already started with full speed into preparations for this year's 67th IAA for Commercial Vehicles, to be carried out from 20th to 27th September in Hanover, Germany. 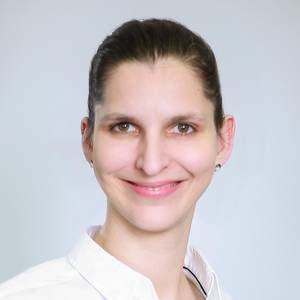 The company will be following IAA’s motto ‘driving tomorrow’ and thus responding to demands of current market innovations in the bus segment. What is more, Hankook is going to present as world premiere a complete mild on- and off-road tyre line-up for steering, driving and trailer axle on more than 200 square metres of booth space. 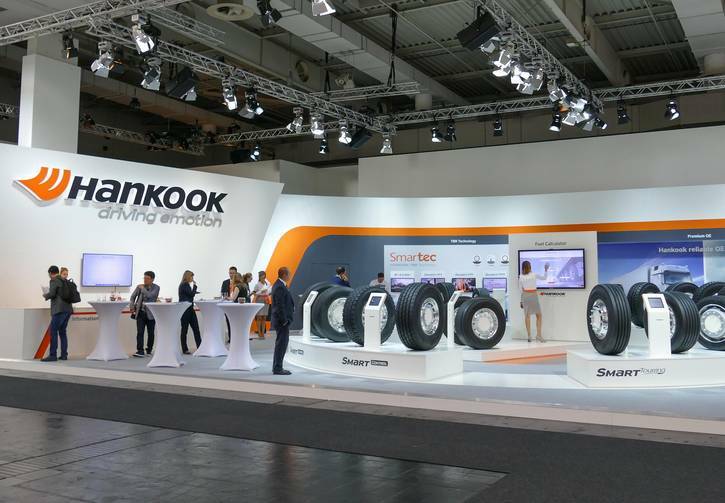 In total, Hankook participates already for the fifth time at the largest and most important internationally known truck fair with plans to announce further growth in the context of its Original Equipment partnerships. In a separate outdoor exhibition area, the company will also be highlighting further brand activities.